The finale of Miss Earth 2018 is inching closer day by day with the grand coronation to be held on 3rd November 2018 in Mall of Asia Arena, Pasay, Metro Manila, Philippines. The pageant will see 88 delegates from all over the world competing for the prestigious crown. Representing Brazil in Miss Earth 2018, Sayonara Veras is 25 years of age and stands tall with a height of 177 cm. She is a model by profession and works for an agency named Amazing model in Brazil. Sayonara was a participant in Miss Mundo Brazil 2015, thus she has the required experience to make her mark in the finale. 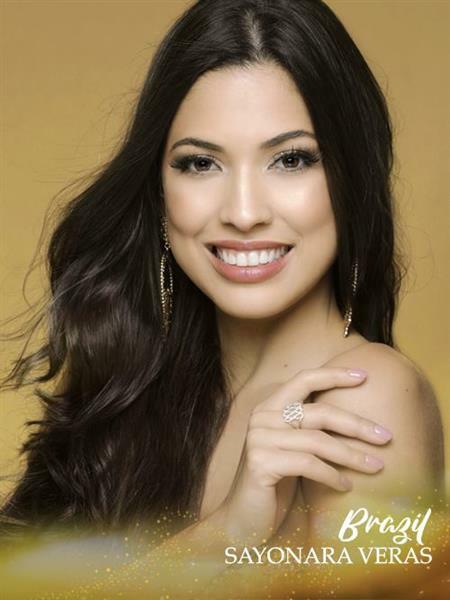 Added to that, she has also been doing really well in the preliminary rounds, and she has won the titles of Miss Pontefino Estates and Miss Psalmstre New Placenta. Antonia Cristal Figueroa was crowned Miss Earth Chile 2018 on 16th September 2018. She is 23 years of age and stands tall with a height of 177 cm. Antonia has had a lot of experience in the pageant world as she was crowned Miss World Chile 2016 and went on to represent her nation in Miss World 2016. Antonia was crowned by Miss Earth Chile 2017 Sofia Manzur. She is performing exceptionally well in the preliminary rounds as she won the bronze medal in the Talent Competition while representing the Air Group. Valeria was crowned Miss Earth Colombia 2018 on 23rd August 2018. She is 24 years of age and stands tall with a height of 175 cm. This gorgeous Latina has beautiful long locks and a very fit and healthy body. Valeria succeeds none other than Miss Earth Water 2017 Juliana France. Therefore, Valeria has a lot of pressure on her shoulders. But Valeria has been performing well in the Preliminary Round as she won the silver medal in the Resort Wear Competition where she was sorted into the Air Group. 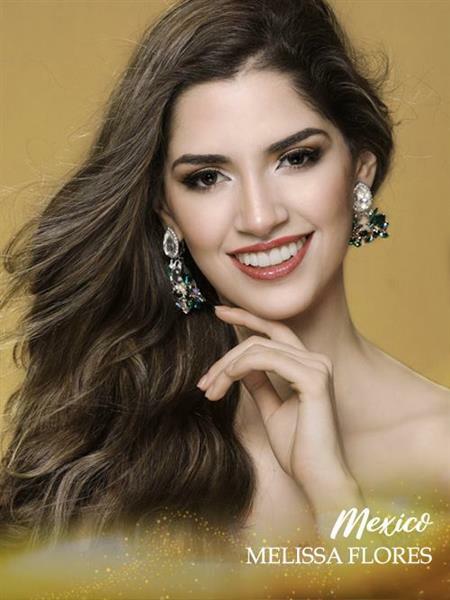 Melisa was officially announced as the representative of Mexico in Miss Earth 2018. She is 24 years of age and stands tall with a height of 182 cm. She is a Psychology student who is fluent in Spanish and English languages. Melisa likes astronomy and art and loves to sing and dance. Melisa has been doing well in the preliminary rounds as she won gold medals in Resort Wear Competition and Swimsuit Competition where she was sorted into the Water Group. Melisa has also won the Sponsor’s Award named Miss Earth JACMI. Celeste, the half Filipina and half Italian beauty, was crowned Miss Earth Philippines 2018. She is 20 years of age and stands tall with a height of 177 cm. She succeeds Miss Earth 2017 Karen Ibasco, so she has a lot of pressure on her shoulders. Celeste is doing extremely well in the preliminary rounds, which will ensure her longevity in the finale of Miss Earth 2018. She has won the National Costume Competition on behalf of Asia and Oceania continent, silver medals in the Long Gown Competition and Swimsuit Competition on behalf of the Air Group and a gold medal in Resort Wear Competition, again on behalf of the Air Group. She was also the first runner-up in Goddess of Albay and Best intern, in the Special Awards section. Telma is representing Portugal in Miss Earth 2018. She is 18 years of age and stands tall with a height of 171 cm. She is already active when it comes to doing good for the environment through break free from plastic campaign. Moreover, she has also been proving herself a strong contender by performing well in the preliminary rounds. She won a silver medal in the National Costume Competition representing the continent of Western Europe. She won the gold medal in Swimsuit Competition representing the Air Group. She was the winner of special awards, Goddess of Albay and Best in Turno. Ratu is 23 years of age and stands tall with a height of 172 cm. She is representing Indonesia in Miss Earth 2018. She is a Communication Science Student and can speak fluently in Indonesian, English, French and Korean languages. Ratu has been doing well in the preliminary rounds and has won two sponsor’s awards, namely, Miss Ever Bilena and Miss Psalmstre New Placenta. She will surely make a mark in the finale and woo the judges with her beauty as well as her intelligence. Diana is representing Venezuela in Miss Earth 2018. She is already experienced in the pageant world and won titles such as Miss Earth Lara 2018, Miss City Tourism World 2017 and Miss Turismo Venezuela 2017. Diana has also been doing well in the preliminary rounds. She won gold medals in Swimsuit Competition and Resort Wear Competition while representing the Fire Group. With her prior experience in the pageant world, she will surely make a mark in the finale with her exceptional wit and her confidence.